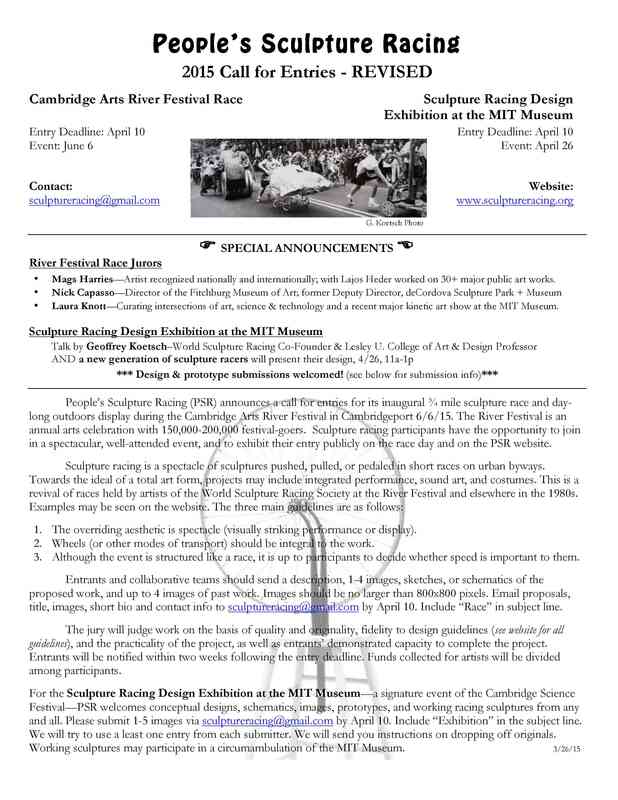 Jurors for River Festival Race Announced! 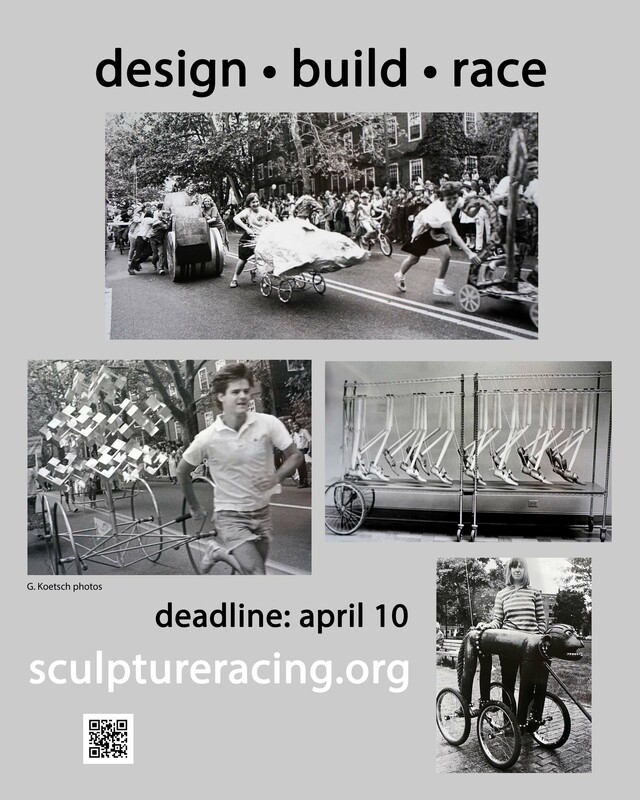 People’s Sculpture Racing is proud to announce that your submission (deadline April 10) for joining our River Festival Race on June 6 will be reviewed by three visionaries with a particular appreciation for sculpture racing. MAGS HARRIES. Mags’ work in galleries, museums and the public realm is recognized nationally and internationally. In collaboration with Lajos Heder she has worked on over 30 major public works and continues to be at the forefront of public art. NICK CAPASSO. Nick is the Director of the Fitchburg Art Museum, and the former Deputy Director of Curatorial Affairs for the deCordova Sculpture Park + Museum. LAURA KNOTT. 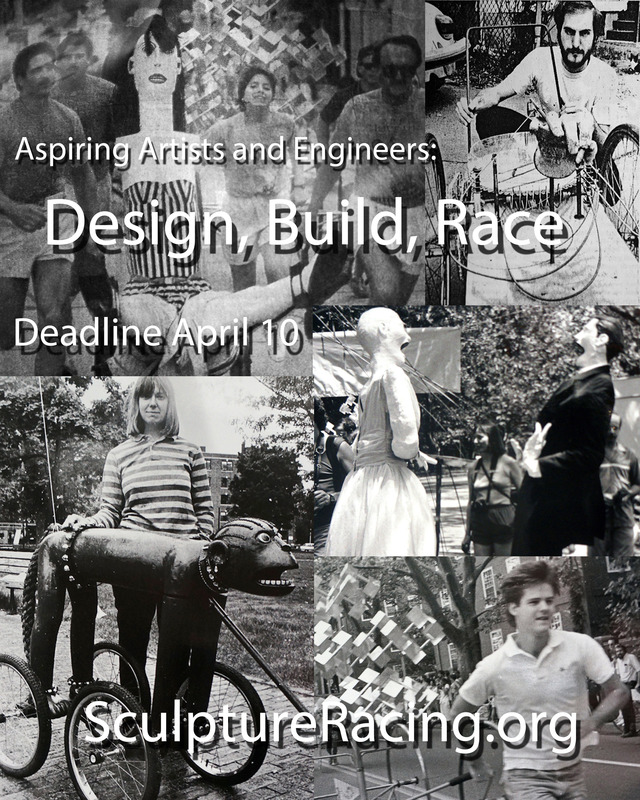 Laura works on projects at the intersections of art, science and technology, including 5000 Moving Parts, an exhibition of contemporary kinetic art that she curated for the MIT Museum. This flyer, using Geoff Koetsch’s images, was designed by Caleb Martin, with minor tweaks by other team members. Top image: left John Weidman; middle unknown; right Kirby Scudder.